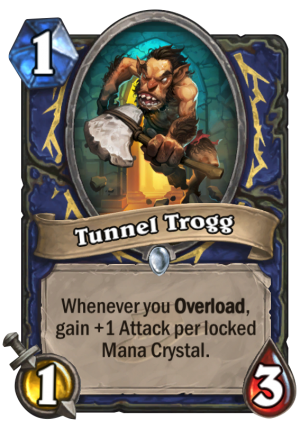 Tunnel Trogg is a 1 Mana Cost Common Shaman Minion card from the The League of Explorers set! Whenever you Overload gain +1 Attack per locked Mana Crystal. Sure, they're ugly, but they live in tunnels. You try your beauty routine without natural light. Wow! 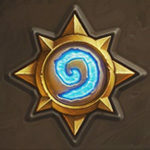 This is a really good start for midrange shamans; i think is definitively better than zombie chow.